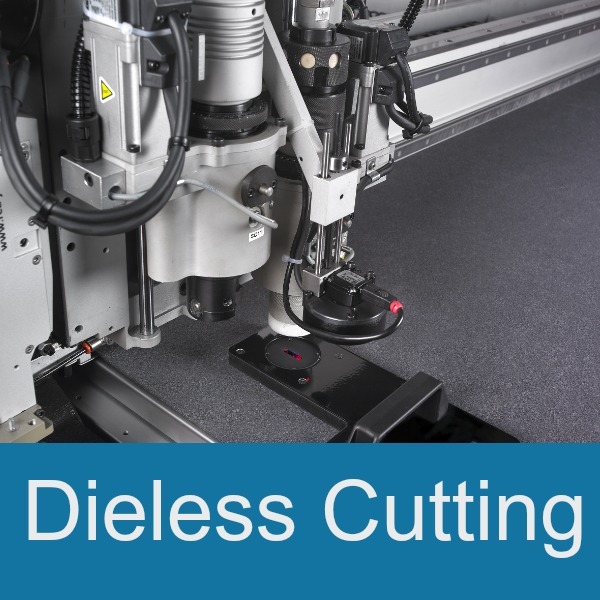 Rotary Die Cutting is the perfect solution for high volume parts with very tight tolerances. 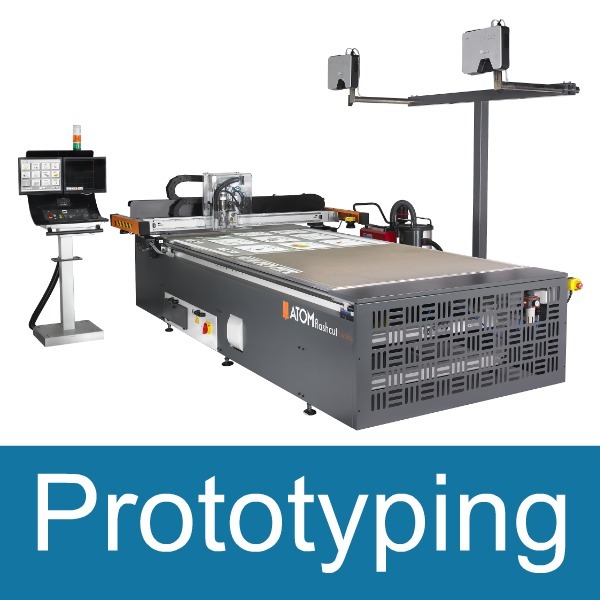 The multi station cutting format allows the use of multiple materials to be layered and cut in one fluid process. 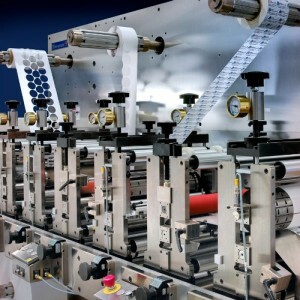 As a premier converter, our clients come to us with challenges about how to make an intricate part or how to streamline their manufacturing processes. Because our experts have over 25 years of experience with a multitude of materials and a broad range of production processes, they are able to recommend the right converting process for each project. We can do either ‘pick-n-place’ or assembly line work for faster manufacturing processes. Clients use our rotary die cutting services when they have large volume (typically over 5000 pieces but often as high as millions of parts ordered). 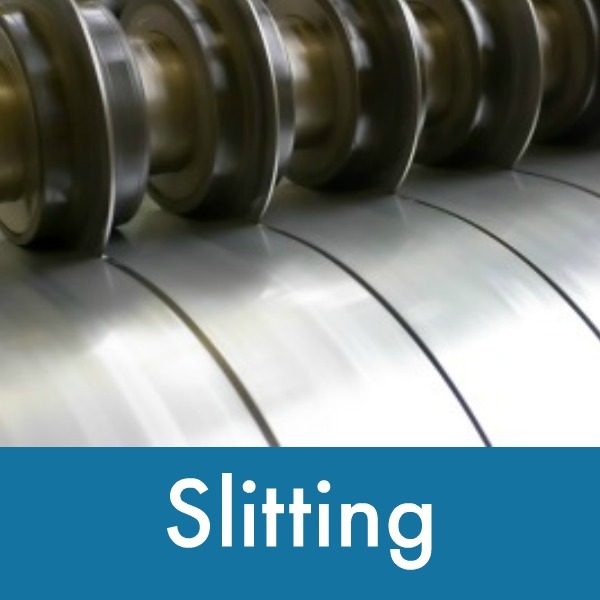 Download our free Rotary Cutting eBook! 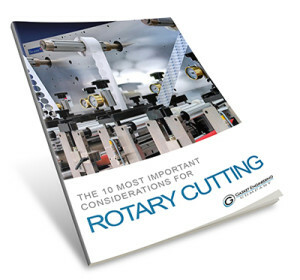 To assist our clients in thinking through the top ten variables to keep in mind when planning a rotary cutting job, we’ve created a free ebook on the subject. This guide will help you think through each aspect to ensure your success in the final production of your parts and ultimately your products. GEC has offered rotary die cutting services since the mid-1990s. 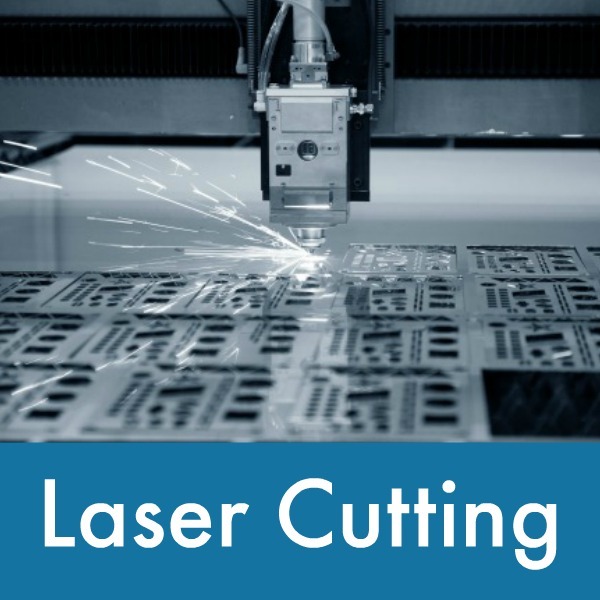 Rotary cutting is typically used for high-speed, high volume, multi layered projects that require anywhere from 2 to 7 substrates to be joined to form a part. Typically one of those substrates is an adhesive, and the other material could be anything-copper, plastic, PET for lenses or shields, breathable venting material, or silicones or other sponges. Some of our competitors have difficulty, particularly with certain grades of adhesives (like thicker VHB adhesives), but these are no problem for GEC. Our rotary cutting customers come to us because we are able to work with more substrates than a typical rotary cutting converter supplier. As a preferred partner for great material providers like 3M®, Rogers®, BISCO® and PORON®, we are able to put many different materials through our rotary cutting machines. Gasket Engineering Company started out as the primary converter to Motorola back in the 1990’s, making nearly 60% of their US-based part needs. 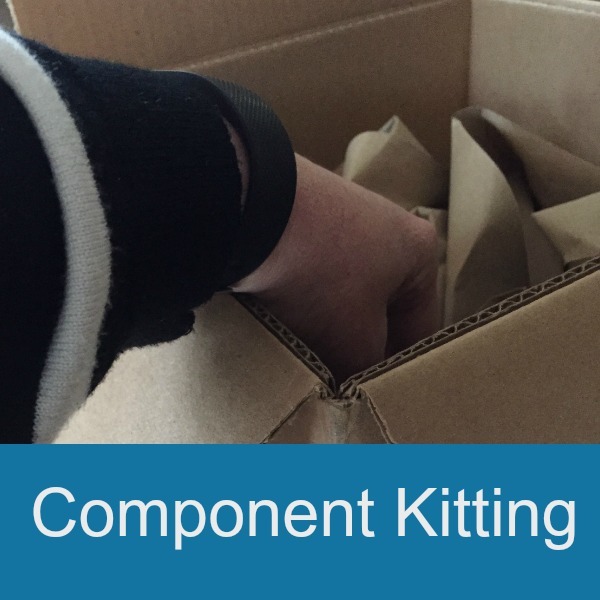 Gasket Engineering shipped 150 to 200 boxes of parts to their Chicago facilities every other day. This forced the team in Gasket Engineering’s rotary facilities to become extremely knowledgeable in manufacturing many different types of parts that other manufacturers could not produce. 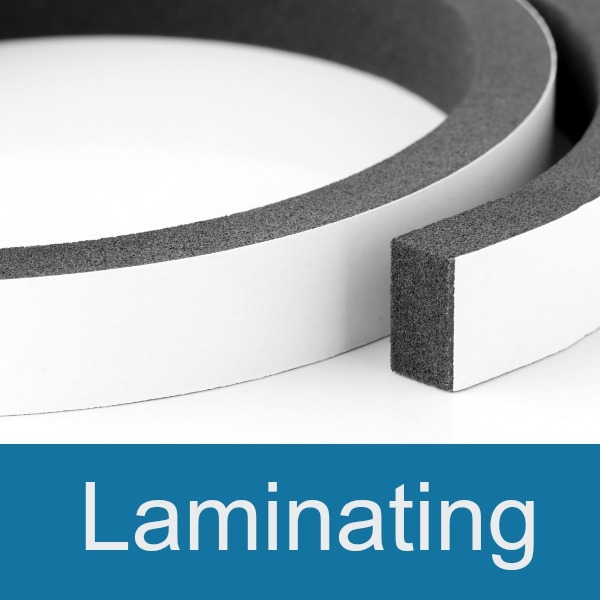 While Gasket Engineering has maintained their rotary cutting expertise for the electronics market, they have expanded to other industries such as automotive, handheld devices, and the medical industry. 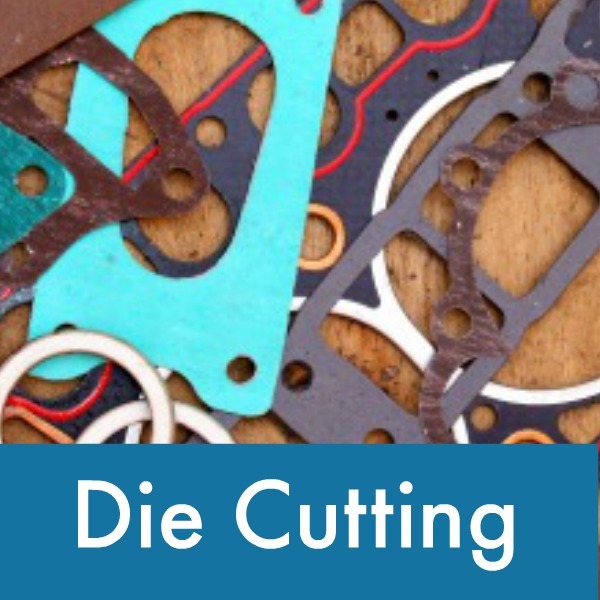 Want to read how our rotary die cutting services have helped others? While many other converters can’t generally handle layering multiple materials and multiple geometrics into a single product, Gasket Engineering told me ‘No problem’ and went about figuring out how to accomplish what we needed. They are out-of-the-box thinkers who have experience converting materials in non-typical ways.